Every team has ignorant fans. 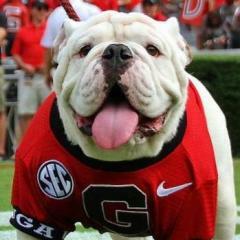 UGA has plenty. Having an opinion is fine. Taking over a thread with irrelevant trash about Fulmer when Butch continues to struggle is being a **** about it. Especially since these UT guys here are super cool. Don't be sorry for me. You know nothing about me, champ. Yeah 9-3 is nothing to be happy about after pre season expectations. It is a step up over past years obviously, but there's just been a lot to not be happy about this season. Without an AD in place I don't see any changes this year unless he decides to leave for another job. i had forgotten you don't have an AD in place. yeah that's a great point. without an AD there is no way a move happens with butch..
Hopefully Jones doesn't get a raise or extension after this disappointing season. He's done some good things, but I'm not sure how much longer he's safe with a new AD, Chancellor next year. Hopefully he gets a new Offensive Coordinator and Offensive Line Coach, at minimum this off season. Evan Berry out for the year with a knee injury. that stinks.. at least it's kentucky and the vol's own kentucky. you guys win that game and you are in the sec title game imo. Really surprised we opened at a 15 point favorite. 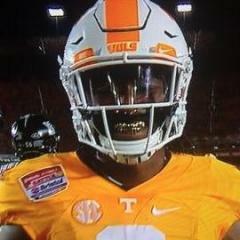 It sounds like Kamara will be back and there is a chance that Cam Sutton is back as well. Hopefully Tennessee does beat Kentucky and then somehow finds a way to lose to Missouri or Vandy. i am not surprised.. you guys even when you stink you beat kentucky. kentucky is a better team this year, but sometimes a team just has your number. No wins in Knoxville for Kentucky since 1984. The only good thing about losing to those guys in Lexington in 2011 was that it helped get Dooley out of here. I think it may be closer than expected, but I think UT will take Missouri on Saturday. 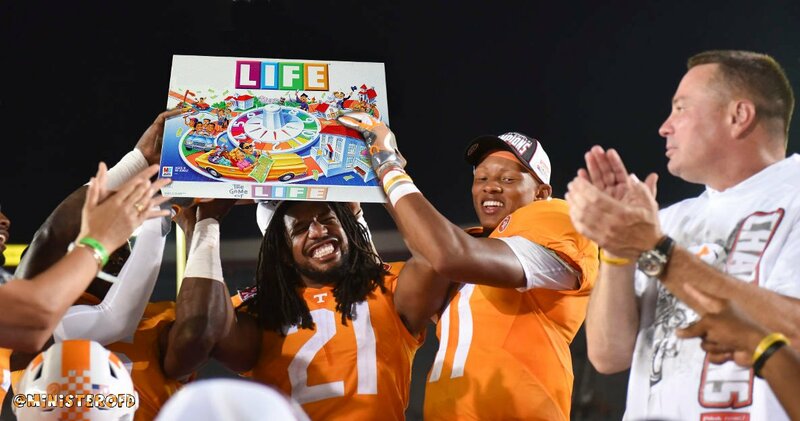 I do hope that they're winning by enough to send Joshua Dobbs in for one play of a series before putting Dormandy in to let him get a big applause from the fans on his last game at Neyland Stadium. Record wise, he hasn't been phenomenal or anything, but he seems like a great young man who has done good things here, especially playing a big role in breaking the losing streaks vs Georgia and Florida. I would bet on Tennessee, but Missouri pulls out a good game every now and then when you least expect it. True. Missouri usually plays pretty well against Tennessee ever since they first started playing each other in 2012. ******** lolol.. they won 9 last year.. oh butchie.. He does not want to talk about it because he knows he laid an egg this year. Butch needs to just own that they didn't achieve what they set out to do this season. It's so disingenuous to carry on like this. A lot of guys got hurt and his bone headed coaching struck again. There are still good things to be proud of without blowing hot air. Vandy is gonna play hard. He better be ready for that. Lot of jelly in this thread that you all don't have one of these puppies on your finger.